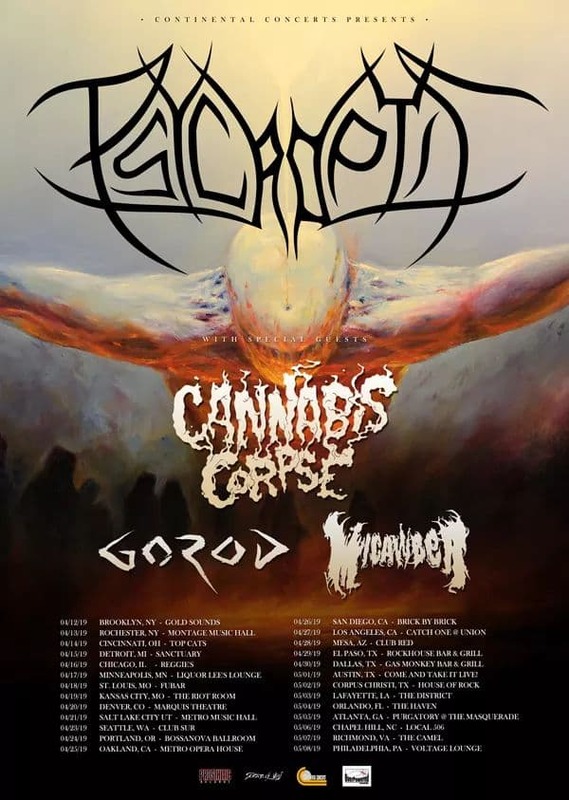 Stoner death metallers CANNABIS CORPSE will be embarking on an extensive North American tour this spring in support of PSYCROPTIC. The two-month long trek will kick off tonight, April 12, in Brooklyn, NY at Gold Sounds and will conclude on May 8 in Philadelphia, PA at Voltage Lounge. The full itinerary along with ticket links can be found below. 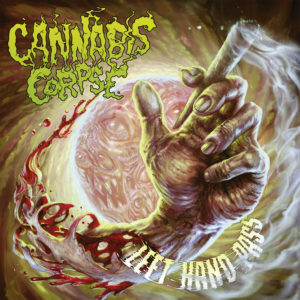 CANNABIS CORPSE‘s last full-length album, The Left Hand Pass, was released in 2017 via Season of Mist. 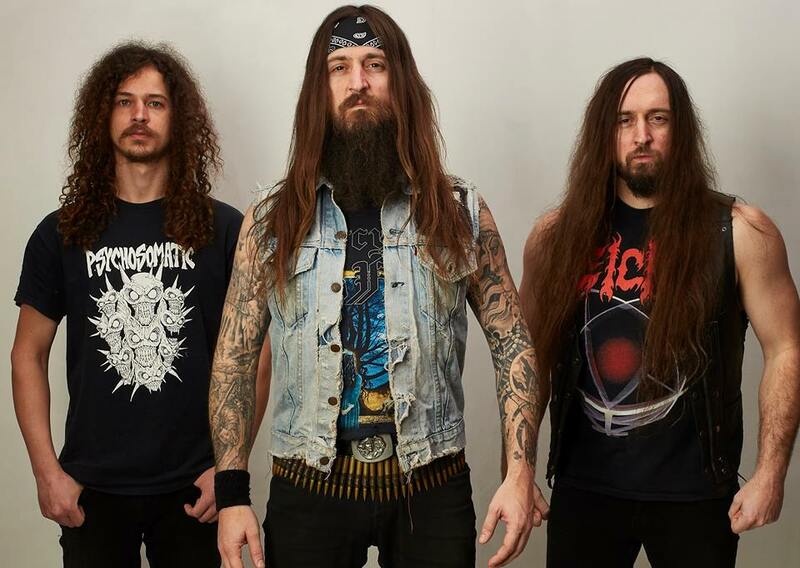 The band is led by the imitable Phil “LandPhil” Hall (MUNICIPAL WASTE) and his twin brother Josh “Hallhammer” Hall, who are also joined by guitarists Ray Suhy (SIX FEET UNDER) and Brandon Ellis (THE BLACK DAHLIA MURDER, ARSIS). The Left Hand Pass is streaming now on Bandcamp, Spotify, Apple Music, and more!